Back in 1992, I was eight, my father had bought this game and the Spider-Man and Captain America in Doctor Doom’s Revenge. I enjoyed the Doom game as I could actually play it. 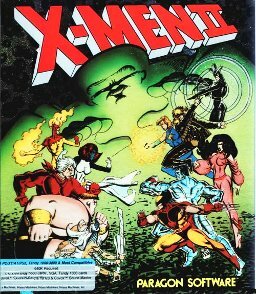 The X-Men game, I feel like I just played until all of my people were dead and restarted it. I’m not sure if I was just too young, I didn’t have the instruction manual or was just too new to video games on the PC. I didn’t know who any of the characters were. Shadowcat just had kicking and punching abilities and on the map, she could walk through walls. I couldn’t find any footage on YouTube of people playing her in the combat section but here is a video of the dungeon crawling portion. Thanks to YouTuber wookiefable for hosting this video. Thanks to YouTuber xtcabandonware for hosting the video. Thanks to YouTuber WestheCrayon for hosting the video. I wouldn’t mind being able to play this game. Pretty decent line up of characters too! It wasn’t until I was looking at these videos that I realize that this is an Alternate Universe version of the Fall of the Mutants, which is pretty cool concept for a game.